A new 94-page report from Gallup, “Women in America: Work and Life Well-Lived,” outlines why businesses should be working harder to recruit and retain women, what will help them succeed (spoiler alert: flexibility is key), and the next steps to take. And while the report focuses on women, the larger points it makes are applicable to all workers. More than 323,500 U.S. adults were surveyed for the comprehensive report, so plenty of opinions and experiences are reflected in its pages. And while it’s too vast to hit every high point in a brief summary, its assertions related to flexibility are appropriate to mention. Jane Miller, Gallup chief operating officer, notes in a preface to the report that, among mothers who are currently employed either full time or part time, 54 percent would prefer to stay home, while 40 percent would prefer to work outside the home. However, she says, most women need to work. Why, then, has women’s labor force participation rate been declining since 1999? Demographics account for some of that change, but it’s not just due to retirement of female baby boomers. Rather, the drop is due in part to problems with corporate culture. Fixing those problems starts with flexibility. The report indicates that, when asked, 53 percent of stay-at-home mothers say flexible hours or work schedules are a “major factor” in their ability to take a job. About 40 percent say the same about being able to work from home when they need to. This effort isn’t important only to women. It’s also vital to businesses, as gender diversity creates better organizations and outcomes, according to the report. It cites a study of more than 800 business units from two companies that found the gender-diverse units had better financial outcomes than those dominated by one gender. That means women will focus on companies that meet their needs and expectations. “They have the upper hand, and organizations have to compete to win them,” the report continues. Since women value jobs that let them have better work-life balance and personal well-being, that should be a focus of companies that want to attract women. And while those terms mean different things to different women, they often pertain to family-friendly policies and flexible scheduling. Women want their work to matter and to have meaning, so they’ll often choose jobs at companies that stand for something or have a great reputation. One way to help gain such a reputation is to offer fair compensation for all workers based on the reality of their performance, not a perception that comes from how much time someone spends in the office. “Underlying much of the discussion about performance management is the idea of a flexible work culture, which can help level the playing field for all employees,” the Gallup report says. “When employees can play a role in determining their own work time, they have a better chance of ‘catching up’ to their peers or setting a pace that allows them to excel. But creating this kind of culture isn’t necessarily easy. It requires commitment that starts at the top of the company. “Employees need to see managers leaving work early to attend their children’s soccer games and jumping back on email at night,” the report says. “They need to know that their sales director works from home one day a week. To overcome barriers to creating a flexible work culture, the report suggests that companies take steps like setting clear expectations for performance excellence; creating an environment of trust and transparency; establishing options for employees who want to work more, or less, than 40 hours per week; and considering “open” vacation and time-off policies. The Gallup report is full of other data and recommendations. Anyone who is serious about recruiting and retaining women should give it a serious read and take appropriate action. That may seem like a lot, but the urgency is real. By following the report’s suggestions, your company should be able to hire and keep more talented women—and men. Which part of this report surprised you? What has your company done to make this kind of culture change? 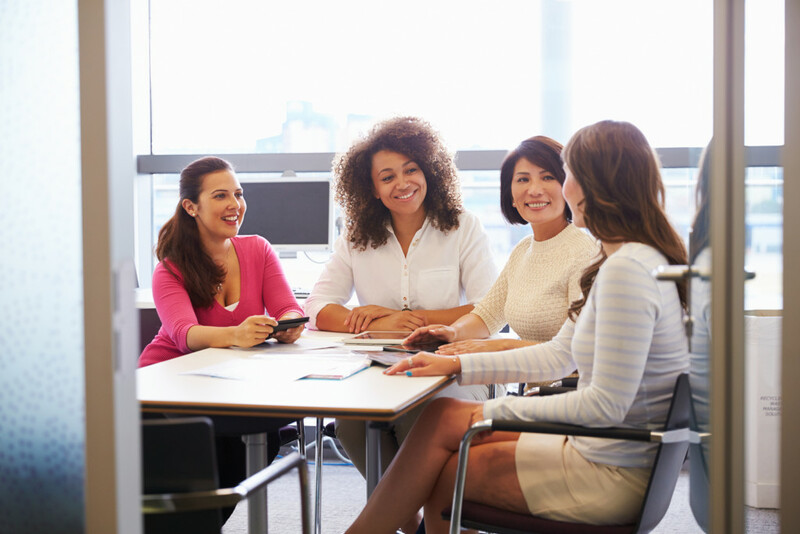 How has the inclusion of more women at all levels of your business improved your operation? Please share your ideas in the comments section.